Mr. Dileep Kumar drives company’s technology strategy, leads engineering team towards delivery of robust, smart and innovative products and solutions and manages in-house R&D programs. A strategic leader and an engineer with 20+ years of experience in the field of networking. A networking pundit with expertise in design, development and implementation of hardware and software for intelligent networking equipment. 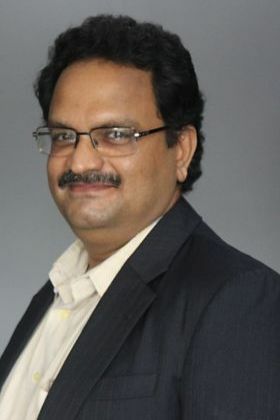 Dileep, who has spent over two decades in the technology industry, has held several senior positions with many company. He started his career as a manufacturing engineer for a series of Ethernet hubs and token ring concentrators and later pioneered the development of several LAN products, including NIC cards, hubs, switches, media converters and fiber optic transceivers. He was the pioneer for fiber optic products manufactured for the first time in India. Prior to co-founding Alcodex, Dileep was as principal software architect for a leader in industrial grade switches, routers, converters, serial communications, and security software targeted for utilities, surveillance, transportation industries. As principal software architect, he was pioneer architecting and implementing management software for media converters and industrial Ethernet switches. He is an inventor for many patents including patents on dual-homing layer 2 switch, apparatus and methods for point-to-point links in robust networks, LAN switch with rapid fault recovery, etc. Dileep holds a Bachelors of Engineering from MG University ,Kerala, India in Electronics & Communication.